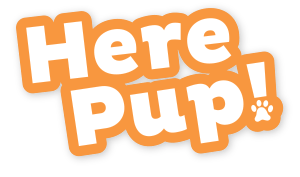 There is a huge shortage of reliable Acana puppy food reviews online, and I’m here today to fix that. In fact, many people believe that Acana does not make puppy food, but they definitely do! I’ll give you the details in my Acana puppy food review below. First, let me give you some info about the awesome brand Acana. They’re easily one of the best choices for owners looking to feed very high-quality ingredients to their pets. Acana makes a variety of “biologically appropriate” foods that aim to balance protein, fat, and carbohydrate to the perfect digestible levels. They are a trustworthy brand that I love. 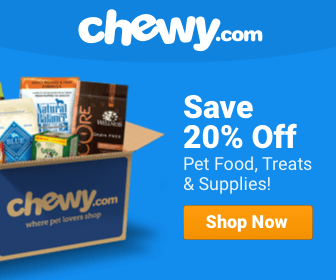 Overall, I think Acana puppy food is one of the best choices out there for your dog! Acana is a reliable brand, and their foods are well-formulated to suit your pet’s needs. While there are one or two things I don’t love about Acana puppy food, the food is definitely a 5-star food! Acana large breed puppy food reviews and Acana small breed puppy food reviews all agree on one thing, and that is that they love that Acana has not two, but three different puppy food formulas. 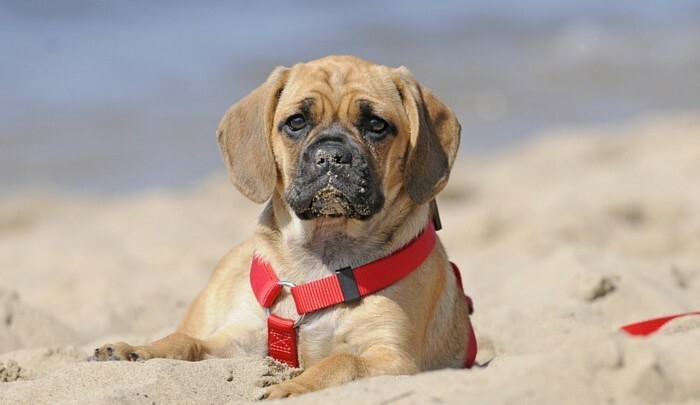 Whether you chose the basic Puppy & Junior formula, the Puppy Large Breed formula, or the Puppy Small Breed formula, you’ll be feeding your puppy a great food that is balanced for their specific needs. Acana became and has remained one of my favorite brands because of the care they put into choosing ingredients for their foods. You don’t see harmful additives or by-products on their ingredients list, and that’s essential for puppies and adult dogs alike. There are other brands such as Orijen that care just as much about high-quality ingredients as Acana, but they are also more expensive. Acana blends high-quality ingredient blends with more affordable prices. In fact, Acana and Orijen are made by the same company, just at different price points! Acana is not overpriced considering the quality nutrition it provides. While it’s great that there are three different puppy foods made by Acana, fans of Acana’s dog food will be disappointed in the lack of variety when comparing to their All Stages foods. I’d like to note, however, that it is completely okay to feed your puppy all stages food from Acana once they are more than six months old as long as you adjust the food portion. Because there are not many people who buy this food from stores, it can be difficult to find it because it is mostly stocked in Canada. 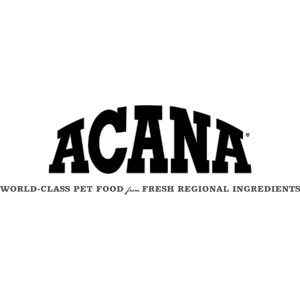 Even some online retailers do not stock Acana’s puppy foods, which seems like a real shame to me because they are great foods. Still, I have to consider this a con because you cannot use the food if you cannot find it! In today’s Acana puppy food review, I’m going to focus on the general Acana Puppy & Junior dog food rather than one of the breed-specific foods. The base ingredients will be similar between all three foods, so you can get an idea of what they are all like with this review. The first three ingredients in this puppy food are fresh chicken meat, chicken meal, and turkey meal. All of these are great animal-sourced protein. The food also has fresh chicken giblets in it, which adds the whole prey approach to the food as well and gives your puppy additional essential nutrients naturally. There’s even freeze-dried chicken, fresh chicken cartilage, and freeze-dried turkey liver as well! I love the protein choices in this food. The food also gives us the amount of crude ash, which is 7% at maximum. While this is still a fairly high percentage, I love that Acana lets us know how much bone or non-meat meal might be in the various protein meals in their foods. It’s great information to have. As for additional supplements, the food has turmeric, chicory root, and great vegetables like pumpkin that help your dog’s body stay regular and get the most nutrients they can from their food. This specific blend has oats and potatoes as the source of carbohydrates, and chicken fat as the source of fat. All in all, I love this food. It’s above-average in every way, and I believe it will give your dog the healthy boost they need as a growing puppy. There have been no recalls on Acana dog food within the last few years. There have also not been any within their parent company, Champion Pet Foods, There should not be a high risk of any manufacturing problems with Acana dog food for your puppy. The biggest problem you’ll face when choosing to feed Acana is figuring out where to buy Acana puppy food. And that’s because it’s mainly only stocked in Canada! Check with your local retailers, or use Acana’s Where to Buy feature to find a location near you. Online retailers also stock the food if you prefer to order online. Whether you have a small breed, large breed, or another breed of puppy, Acana has a food for you! All three blends from Acana are an exceptionally high-quality food available at affordable prices. Feed it to your puppy without worry, and you’ll have a healthy, happy pup! well too bad chewy doesn’t carry any of the Acana puppy formulas, only the all life stages. I am disgusted with the lack of quality in production and packaging of Acana’s dog food. I have been feeding my dog the Acana Heritage food for the last year. From the large breed puppy food we pulled out a large chunk of burnt kibble from the bottom of their oven. Six months ago we found a small chunk of what looked like silicone or packaging glue in the adult large breed food. It wasn’t much bigger than a kibble and could have easily been eaten by our dog if we had not discovered it. Today we found an 8 inch long strip of electrical tape in the food. We will be switching our dog to another manufacturers food immediately. If you choose to feed your dog Champion dog food be sure to inspect it thoroughly before doing so. You don’t know what kind of unexpected surprises you just might find in it.